Noble Energy to provide nearly 1.6 trillion cubic feet of natural gas, as energy dependence on Israel from Jordan heightens. 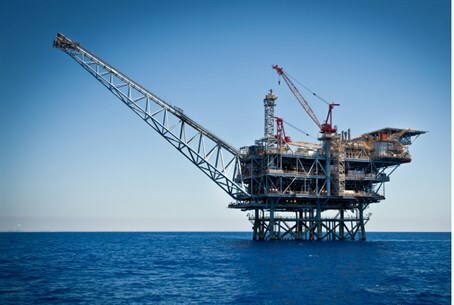 Israel is to supply Jordan with natural gas from its vast Leviathan offshore gas field over a period of 15 years, US giant Noble Energy announced Wednesday. A source close to the deal said it was worth $15 billion (11.4 billion euros) - a significant chunk of some $60 billion which Prime Minister Benjamin Netanyahu has said will come from Israel's offshore gas exports. Noble announced in a statement the "execution of a non-binding letter of intent to supply natural gas from the Leviathan field, offshore Israel, to the National Electric Power Company Ltd (NEPCO) of Jordan." "Noble Energy and the Leviathan partners will supply a base gross quantity of 1.6 trillion cubic feet of natural gas from the Leviathan field over a 15-year term," it said. Leviathan is majority-owned by three Israeli companies, with 40 percent owned by Noble. geopolitically to establish our relationship with Jordan and other Arab countries." This is not the first time Israel and Jordan have discussed a natural gas deal. Just six months ago, the Arab Potash Company (APC) signed a similar deal to increase Jordan's reliance on Israeli energy, after Egyptian pipelines became unreliable after countless attacks from terrorists in the Sinai. In February, Jordanian officials said the disruptions in gas supplies cost Amman at least $1 million per day. According to the Egyptian Cabinet Information Centre (IDSC), Egypt’s natural gas production shrank in December 2013 to 3.3 million tons - down 11.8 percent from December 2012. "We are aware of the situation in Egypt and they [Egyptians] are aware of our situation in Jordan,” Jordan Prime Minister Abdullah Ensour during a meeting with an Egyptian delegation in Amman, according to Al-Ahram. “Egypt is to begin gas mega-projects and Jordan has already commenced implementing a natural gas terminal that is expected to be completed by the end of this year to import and store liquefied gas. Egypt then can export its surplus gas from Jordan." The announcement also surfaces despite heightened tensions between Amman and Jerusalem. Earlier Wednesday, the Jordanian government and royal family reportedly succeeded in cowing Prime Minister Binyamin Netanyahu into stopping a building project near the Temple Mount due to regional and political pressures. Export plans for the eastern Mediterranean have been taking shape over the past five years since Noble discovered the Leviathan field in Israeli waters. condensate, and has been hailed as the largest gas deposit found in the world in a decade. Several months ago, the Israeli government approved a new plan allowing up to 40% of what it extracts from Leviathan and another field, Tamar, off its Mediterranean coast to be exported. Netanyahu has said exports would bring in some $60 billion to state coffers over the next 20 years; Israel's natural gas finds are expected to sharply reduce its dependence on imports.